LOVELY LOT – MIDDLE MOORS One of the last build-able lots available in this absolutely beautiful neighborhood known as Tetawkimmo. This pretty, peaceful .42 acre property located at the end of a cul-de-sac is protected by conservation on two sides promising privacy. 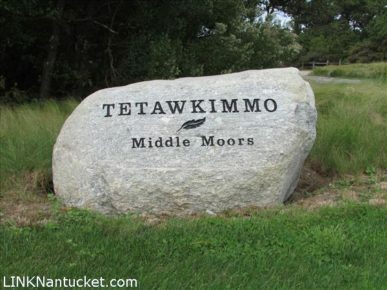 A great opportunity to build your dream and some equity in the lovely Middle Moors of Nantucket Island. This wonderful four bedroom home with separate studio and perfectly manicured gardens, is located in a family friendly neighborhood that ..